Kate Moss. Kim Kardashian. Gigi Hadid. Cara Delevigne. Just a few of the superstars that world-renowned makeup artist, Charlotte Tilbury has worked with over the years – she’s the crème de la crème… or crème de la Magic Cream –the name of one of her much-loved products from her stunning beauty range. The brand has never been one to shy away from the power of digital content, with Charlotte herself posting make-up tutorials on YouTube since 2012. 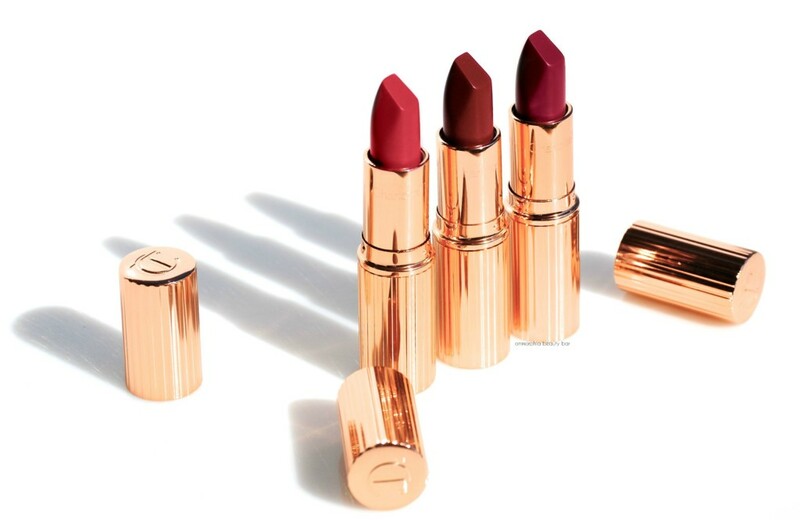 At Charlotte Tilbury, they understand that their target customer is looking for more than just a red lipstick or a shimmering eyeshadow – she wants tutorials, she wants visuals, she wants an overall brand experience. In September of 2015, Harlequin Design appointed LOOKLOOK Photo Booths to create a GIFGIF experience for Charlotte Tilbury customers visiting the brand’s new counter in John Lewis, Oxford Street. The campaign asked, “#WhoCouldYouBe” and invited shoppers to pick one of Tilbury’s make-up personas – The Rock Chick, The Bombshell, The Golden Goddess to name just a few. After being made up by the Charlotte Tilbury artists in their chosen look, the customer then created a GIFGIF at our booth. The GIFs were displayed on large screens in the main window of John Lewis, Oxford Street and the result was an eye catching display, beckoning passers-by to enter the store. The happy customer not only left as a window star with a celebrity inspired make-up look but also received a text message to their phone with a link to their GIFGIF to share on Facebook, Twitter and Instagram. The week-long #WhoCouldYouBe campaign was a roaring success – attracting passing trade, making the customer part of an interactive experience and increasing exposure across social media channels for the Charlotte Tilbury brand. Fast-forward to November 2015 – the Charlotte Tilbury flagship store launch in Covent Garden. GIFGIF was back to celebrate with key players in the beauty industry and celebrities alike. TV and radio’s Fearne Cotton and Made In Chelsea’s Millie Mackintosh, each with millions of followers on social media, both made GIFs and shared on Twitter and Instagram. GIFGIF yet again, enabled the Charlotte Tilbury brand to maximise exposure, making the event go way beyond the store’s four walls by creating instant, shareable content. The GIFs were again displayed on custom digital screens outside the store for all of Covent Garden to see. As Charlotte Tilbury Beauty continues to grow and launch exiting collections such as ‘Hot Lips’ and new signature perfume ‘Scent of a Dream’, as well as open new locations across the UK, LOOKLOOK Photo Booths has been delighted to be part of the action. We have been “GIF-ing” in Peter Jones in Sloane Square as well as John Lewis in Stratford. We even made it all the way to John Lewis in Cardiff for the Charlotte Tilbury launch there.